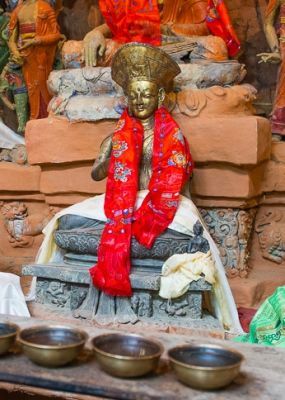 Lama Chhiwang Thilen is believed to have founded Chhairo in the 16th century. The first incarnation was born into the Sherchan family, but no further details are known. 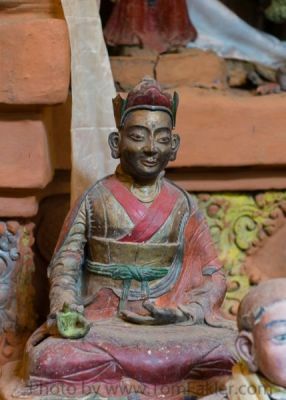 The second Lama reincarnation of Chhairo was the elder brother of Shanta Kumar Guachan. The Gauchan family and local people recall that five or six days after he was born, sun rays that touched him turned to a rainbow, identifying him as a reincarnation. Three years after the death, aged forty, of the second incarnation, Rajendra Bhattachan was born in Tukuche, the third reincarnation. The current incarnation has chosen not to become a lama. He has therefore delegated authority for the running of Chhairo Gompa to Shashi Dhoj Tulachan.